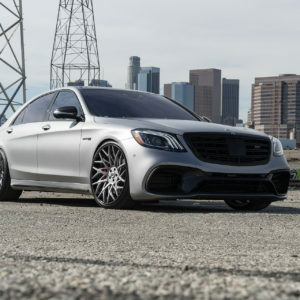 After being on the market in its current iteration for quite a few years, the Mercedes-Benz S-Class has some fierce competition from the likes of Maserati, Audi and Porsche – just to name a few. 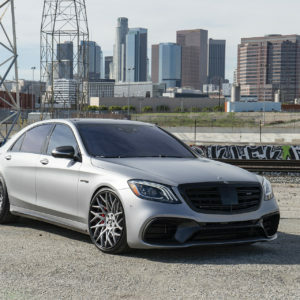 It’s usually at this point in a vehicle’s life cycle where vehicles begin to be customized a bit more extreme than when they first hit the market as the resale hit is a little softer than before. It’s at this point in the game where things start to get interesting. 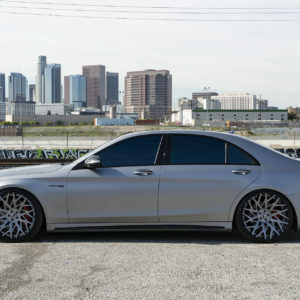 Creeative Designs of Los Angeles, California took this sleek sedan and turned into something that will garner looks at the stop lights while still retaining enough class to shut down the valet at a high end restaurant. 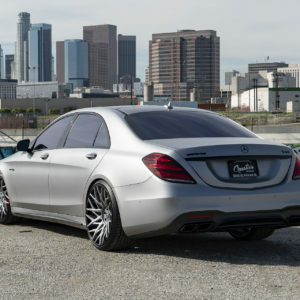 Creeative Designs first deleted all the chrome giving the S63 a more aggressive aesthetic. 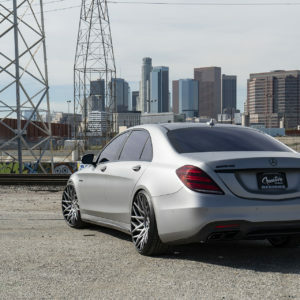 The carbon fiber trim works quite well with the satin silver exterior as the chrome took away from the equation. The next step was to black out the windows and lower the vehicle in preparation for its new shoes. 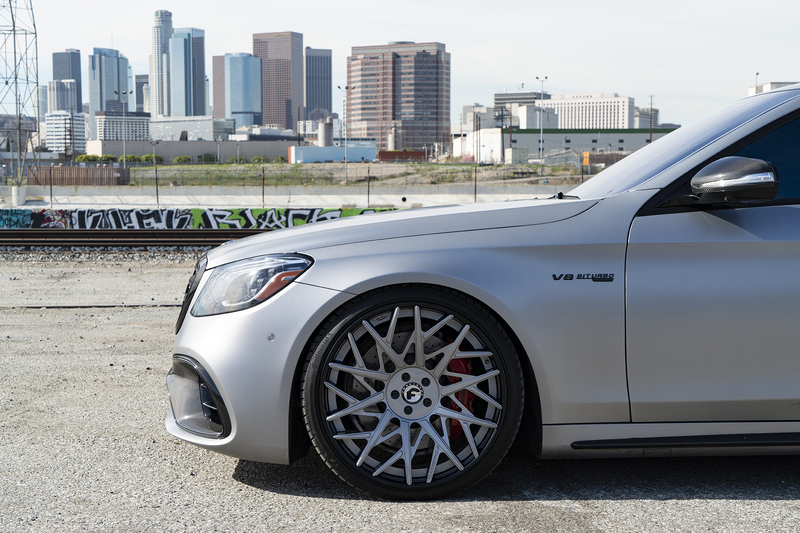 The shop added a set of Forgiato Blocco-ECL wheels with faces to match the exterior. 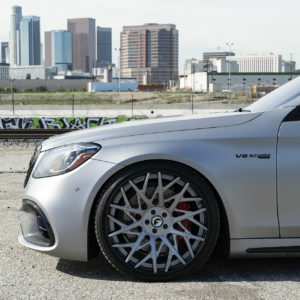 For more Benzes on Forgiatos, check out the Forgiato Mercedes Gallery!